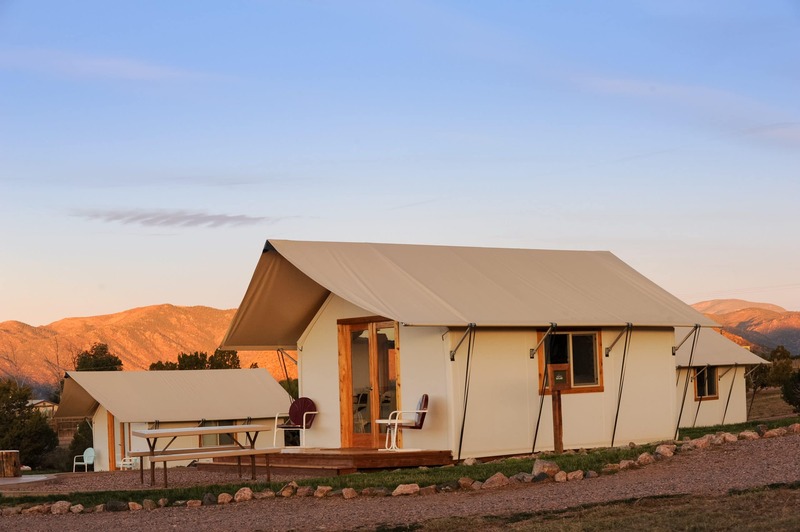 Glamping comes to Glenwood Canyon! 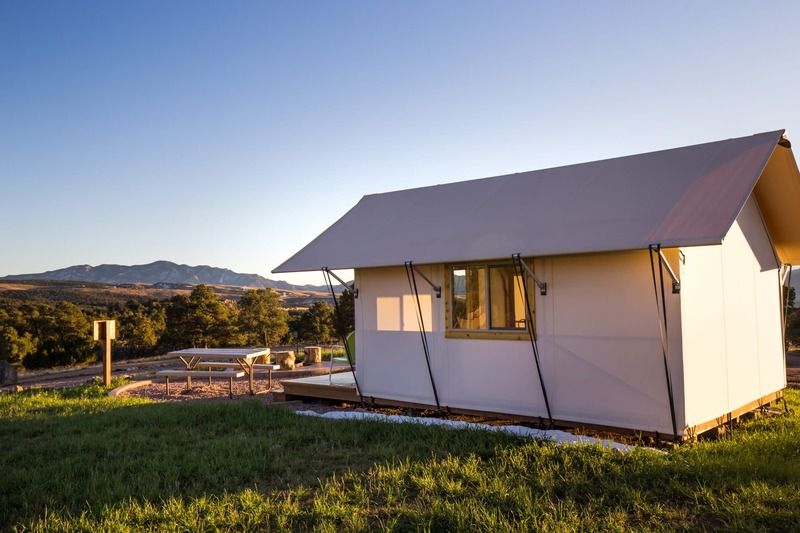 Our brand new glamping tents were designed for you to enjoy the great outdoors in ultimate comfort! 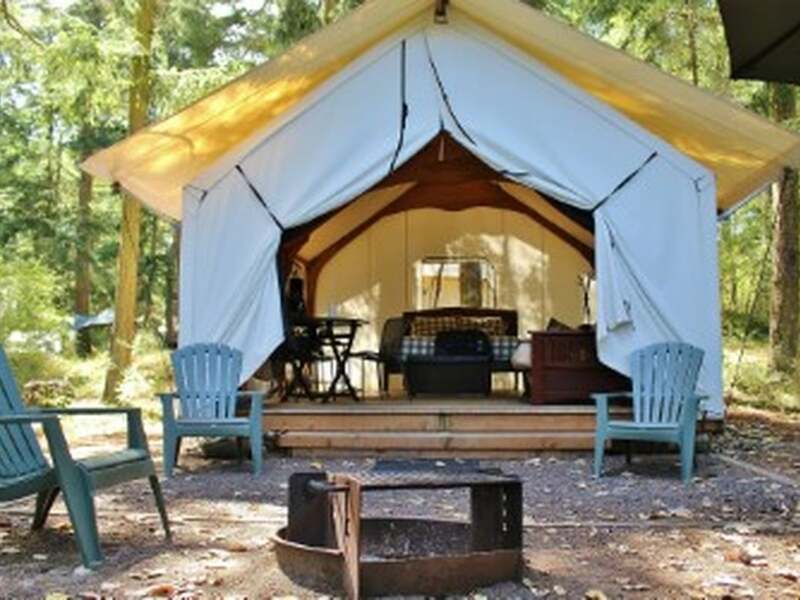 Keep your sense of adventure, enjoy your own private campfire then retire to your luxurious bed and glorious air conditioning. A perfect choice for those ready to give up the “roughing” part of camping. Please be aware that we are currently in the process of construction. 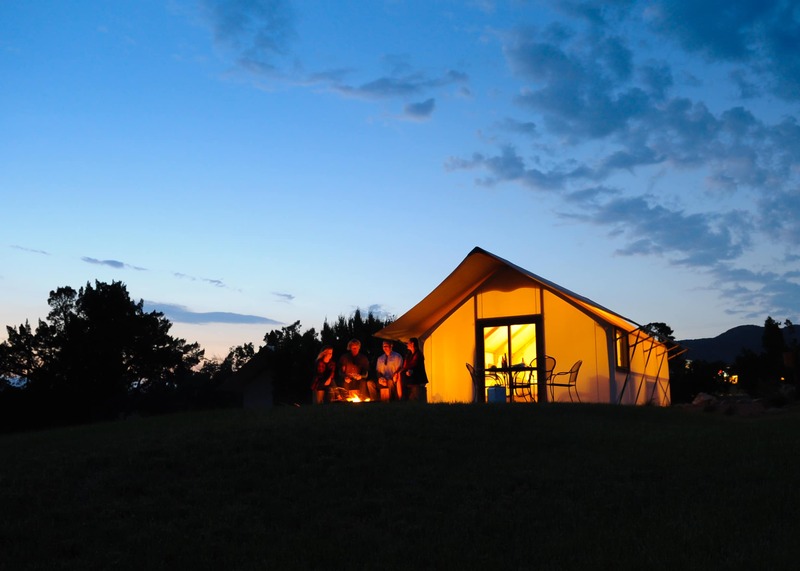 The photos below are not our actual glamping tents but rather a representation of what you can expect. 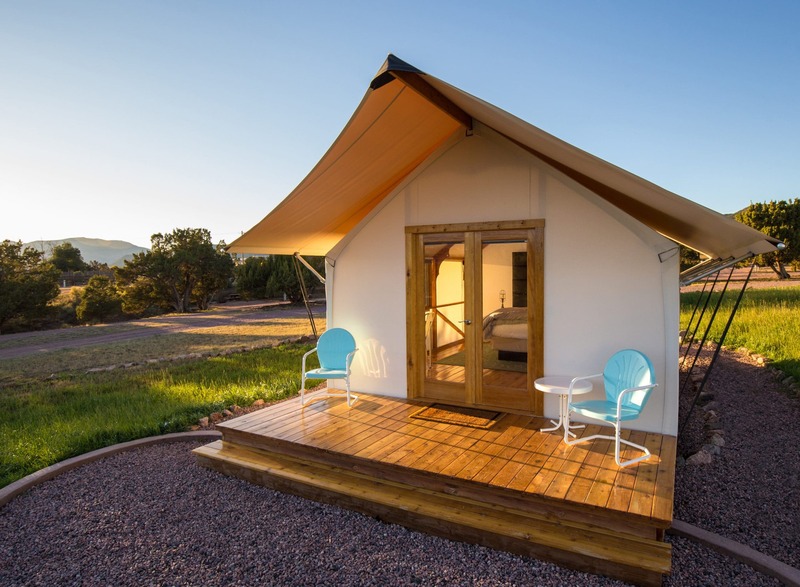 These glamping tents will provide you with the best of both worlds. They sleep 2 adults in a luxurious setting with the creature comforts of home you’d expect such as king size bed, living area, air conditioning and multiple power outlets for your electronics. Step through the double french doors to your outside world complete with covered deck, lounge chairs, picnic table and private fire ring. Since you are still technically camping, you’ll want to bring along a cooler for food and beverages. There is no running water or bathroom in the tents however our bathhouse is just steps away and open 24 hours a day. Bed linens, pillows and towels are provided. These tents are smoke free and do not allow pets.